Another Group F game with two of the sides on a 2-2 record but this game stands out as it is a replay of last season’s Championship match. Everything went right for Real Madrid that evening but not too much has gone the way of the Spanish giant’s since, and this is a game that could genuinely go either way in Spain on Thursday night. Madrid need to bounce back from a painful loss to bitter rivals Barcelona and a home game against Olympiacos isn’t the easiest game to get back into the rhythm of things. However, it does that Los Blancos need to be at their best, and this means making it tougher for opponents to score against them. The reigning Euroleague champions have been very strong going forward this campaign but their defensive work hasn’t been up to the job. Yes, they have big players missing through injury but the squad that Madrid possesses should be able to deal with an injury or two. The return of Sergio Llull should help and if Jaycee Carroll and Jeffrey Taylor show some form, Madrid could get back to winning ways. If Madrid has the weakest defence in the Top 16, offering up 86.7 points per game in the Top 16, Olympiacos have the meanest defence over the course of the season. The Greek side have given up just 70.1 points per game on average over the course of the campaign, which goes a long way in explaining their 10-4 record for the campaign. 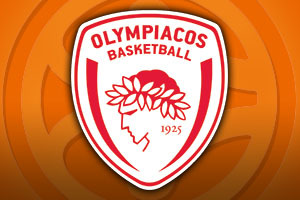 Othello Hunter, Georgios Printezis and Nikola Milutinov have all showed great form this season and these are the players the away team needs to deliver if they are going to give Madrid another horrible night at home. 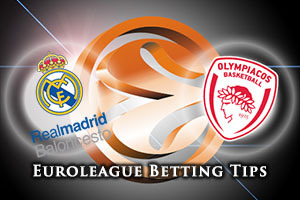 The bookmakers believe that Real Madrid will get back to winning ways but taking Olympiacos Piraeus at +6.5, at odds of 1.90, should be a decent bet for Thursday night. For the Over/Under market, consider the OVER 155.5 option, available at odds of 1.90. Bet Now!